Drunk Driver Overserved at a Bar? 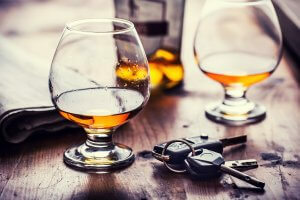 If you have suffered injuries in an alcohol-related car accident, you should know that the restaurant, bar or even liquor store may be liable for the injuries or damages you sustained. This type of liability is also known as “dram shop law”. Dram shop laws are state-imposed laws that place responsibility on the seller of an alcoholic beverage for any negligent act that their customer may have committed while being intoxicated. While these laws are important, it is important to recognize that these laws are not imposed equally by every state in the nation. While most states have passed similar versions of the law, each state varies. To better understand the legislation in your specific state, speak to an experienced car accident attorney who can guide you. With the help and support of an injury attorney, you should be able to determine if your case has validity. In previous years, alcohol beverage sellers have never been held responsible for any form of accidents that happened to their intoxicated customers. In fact, most courts would generally prohibit any lawsuits that would attempt to hold a vendor liable. The main and most common argument in defense of alcohol beverage vendors was that the sale of their alcoholic beverages is not what caused the consumer’s injuries and/or damages. However, it is now possible to file a lawsuit against an alcohol beverage vendor. Whether it is a bar, a liquor store, or even a restaurant, you may have the legal right to file a lawsuit. If you have suffered any injuries or damages after an accident with an intoxicated person, there are several factors you should consider. This article will provide an overview of dram shop laws. As previously mentioned, a dram shop case is a lawsuit that is filed against any restaurant, bar, liquor store, or any other type of shop or business that is in the market of selling alcoholic beverages. These types of business become responsible when a consumer has been abundantly served alcohol. Before explaining the difference between these, you should know that there are many states that do not allow for first party cases. If you have been injured after being over-served an alcoholic beverage, you should consider speaking to a car accident attorney who can guide you through the process as well as help you understand if you have a valid case. First party cases are generally filed by the alcoholic beverage consumer. If the intoxicated consumer suffered an injury or damage after being served too much alcohol, he or she has the right to file a lawsuit. Again, as previously mentioned, not every state will allow for first party cases. A reason behind this is the idea that consumers should typically be held responsible for their own person, thus, should not overdrink. While most states will not allow for first party cases, they can allow it under certain conditions. For example, they will generally not allow adults from filing a lawsuit against the seller but will allow minors to file a lawsuit. Usually, this is because since minors are not legally allowed to drink alcohol, the responsibility falls onto the seller for not making sure that the consumer is of legal age. Further, you should also be aware that if your state allows for a first party dram shop case, this might not be the most beneficial for your situation. Presenting a first party case can be very difficult to win, considering that it could be difficult to persuade a judge or jury that you as a consumer deserve restitution for consensually drinking too much. Third party lawsuits are usually filed by those who have suffered injuries or damages because of an intoxicated person. A common example is that of drunk driving. When a consumer has injured someone else because he or she drove while intoxicated and the victim can now file a lawsuit against the alcohol beverage business. The alcohol beverage business is hereby acknowledged as a third party. If you have suffered injuries due to the sale of an alcoholic beverage, you should know that you might have the opportunity to obtain restitution for your grievances. It is vital to speak to a qualified injury attorney who is aware of your local legislation. An experienced attorney can guide you through filing the correct dram shop case.